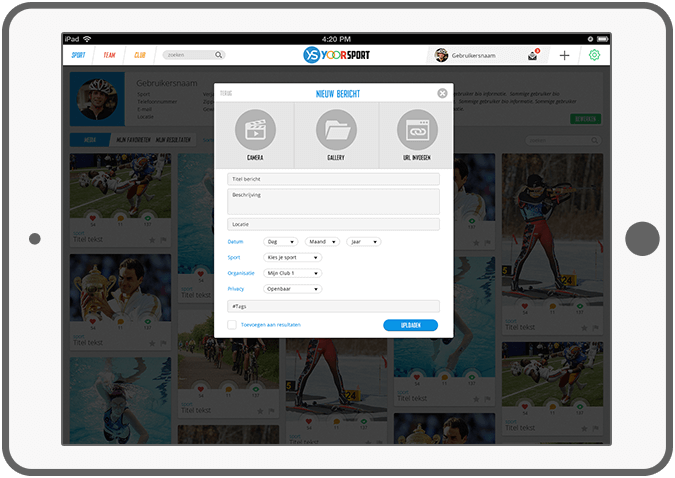 DTT developed the concept, design and a responsive website for Yoorsport. 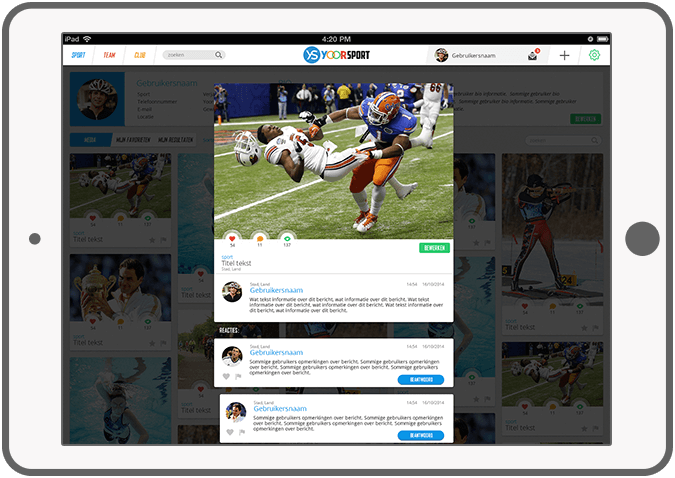 Yoorsport is a platform with user generated content on sports. 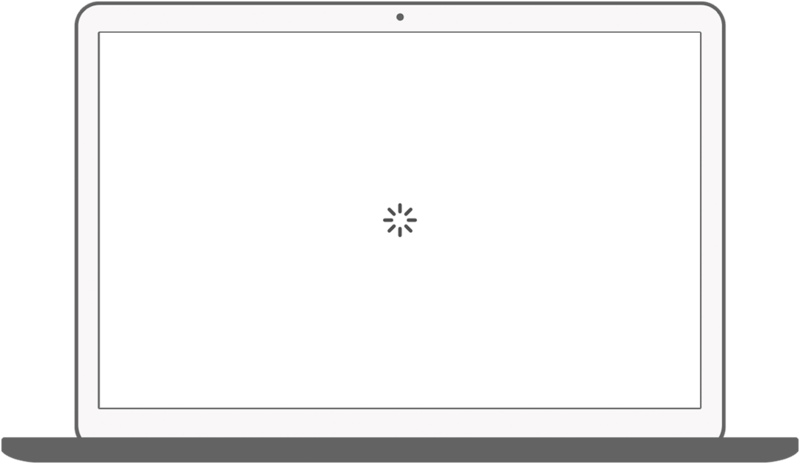 The solution is divided into three categories, namely: various sports, teams and clubs. 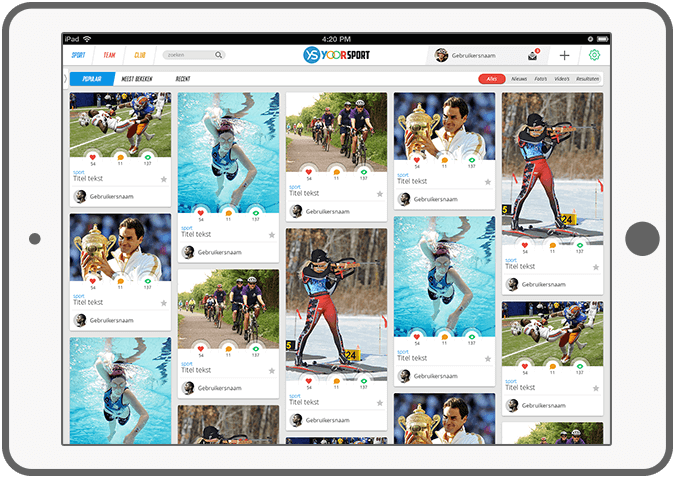 Pinterest and Facebook applications can be considert as important sources of inspiration in developing the Yoorsport solution. 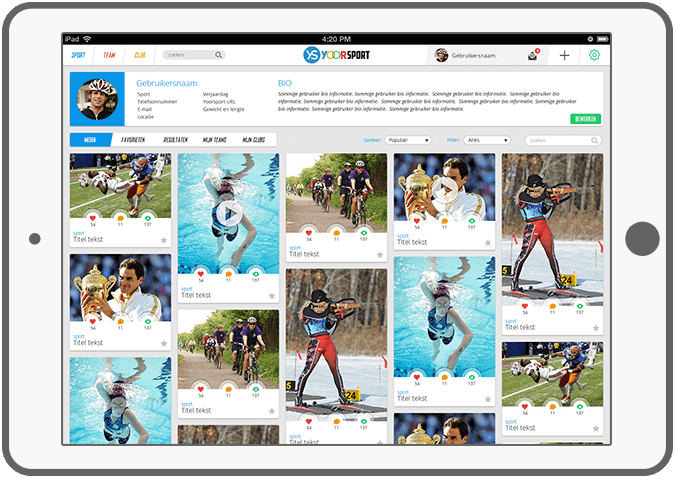 Users are able to share photos, videos and verious kinds of results (for matches, competition or sporting events) on the Yoorsport website. 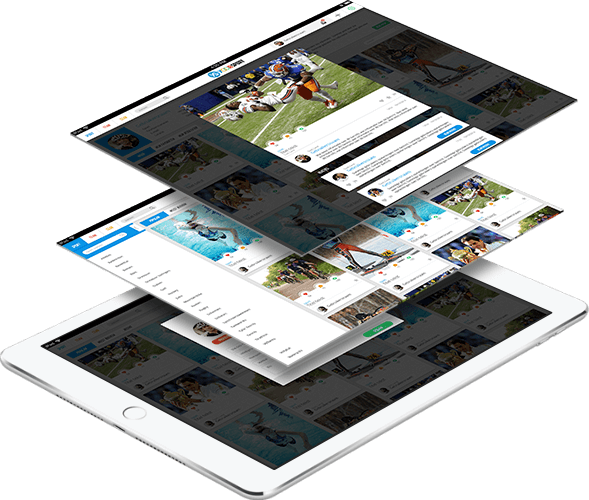 The website is fully responsive; it will be displayed properly on desktops, phones and tablets. 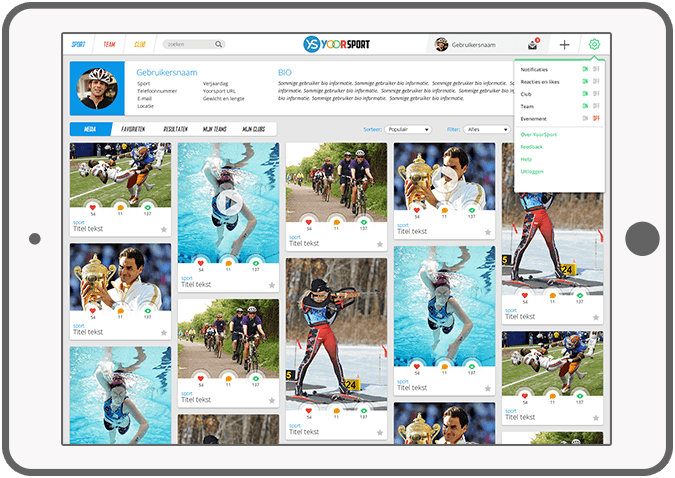 Users can easily manage their profile, categories, sort and search for messages, people and tags in the database. 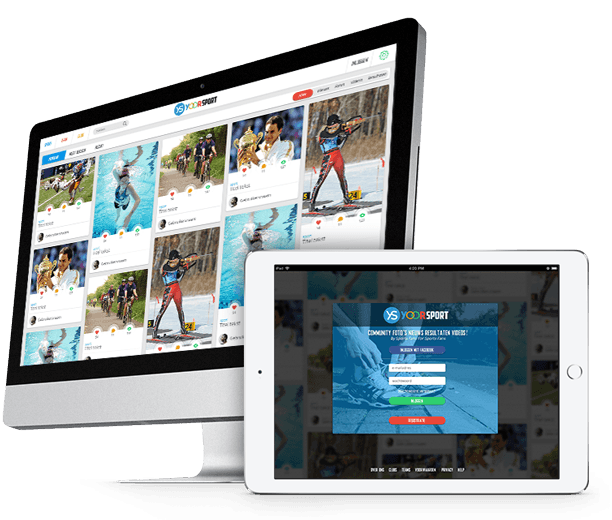 Visit the website of Yoorsport. 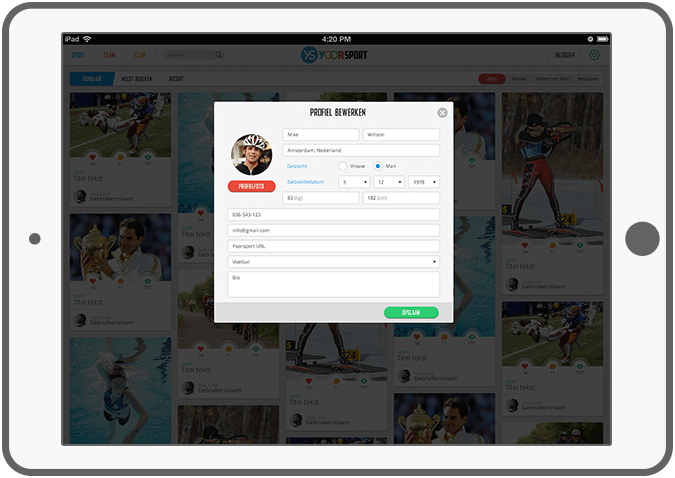 Manage a club, team or personal profile. 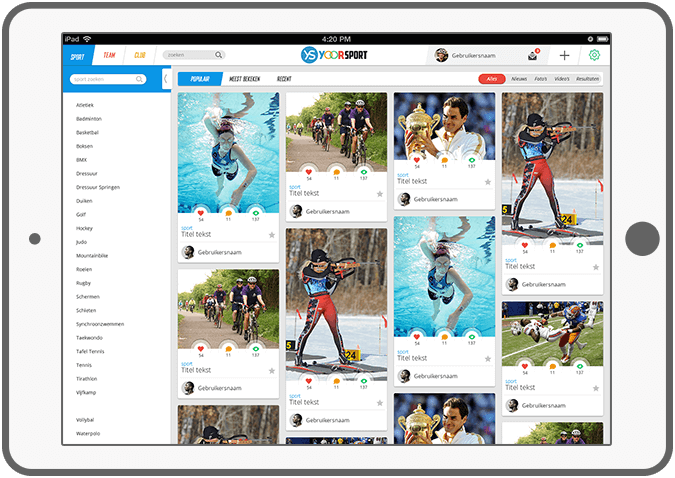 Check your messages, favorites and results on your profile page.